Status: Paired with Wendy. 2016: Made 1 nesting attempt but failed at egg stage. 2017: Made 1 nesting attempt - failed at egg stage. 2018: Two nesting attempts both failed at egg stage. 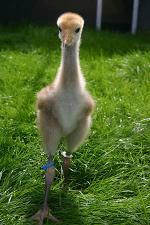 May 2011: Albert is a very pretty/handsome crane with oddly coloured white toe-nails! He hatched from one of the smallest eggs of the 2011 batch, amongst the April 25/26 rush of five hatchlings. His sibling is Pepper. He is the dominant crane in the 'B block' cohort but now that this group has been introduced to the big gang from A block, he is very wary - particularly of Lofty, (the oldest) with which he had a bit of a scrap...and lost. He is now trying to find his place in the pecking order. August 2011: Albert likes to hang around with Wally and Lofty at the moment but is friendly to all the others and hardly ever gets into fights! He never stands still and is always busy, especially catching insects. He also loves flying and will often be seen developing his flight muscles ready for release! 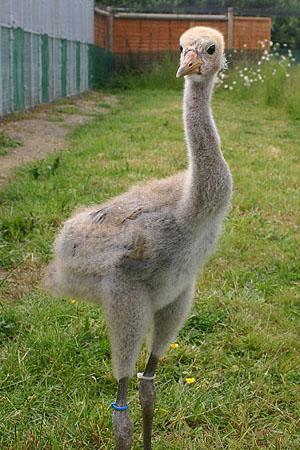 October 2011: Albert the prince is a fine and well integrated member of the flock of 34 cranes that are regularly being seen out and about foraging on craneflies and in barley stubbles and on specially provided unharvested crop areas. September 2012: Albert has adapted well to life with the Somerset flock and he and his cohort are all behaving as naturally as any wild cranes. They have spent the summer feeding on the un-seasonally flooded grasslands of the Moors and Levels in small fragmented groups, but as autumn rolls in they are starting to flock again and follow the harvest, hoovering up any spilt and wasted grain in the fields. January 2014: 2013 was largely uneventful for Albert, spending the spring and summer on Aller Moor and West Sedgemoor and the winter as part of a tight-knit flock on Stanmoor, near Stoke-St.Gregory. 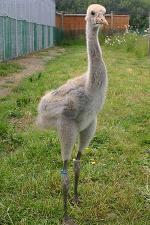 We hope that Albert will pair up this year, although at 3 years old he is still very young to make a breeding attempt. July 2015: Albert didn’t pair up in the spring of 2014, and then remained on the Levels and Moors through the summer where he is believed to have moulted as he was seen running about like a crazy-thing in July 2014. He remained on the Somerset Levels and Moors autumn and winter of 2014/15. In spring 2015 he still didn’t appear to pair up with any particular bird, but turned up at WWT Slimbridge in early April along with Buttercup (a 2013 female) but he doesn’t appear to be paired up with her. 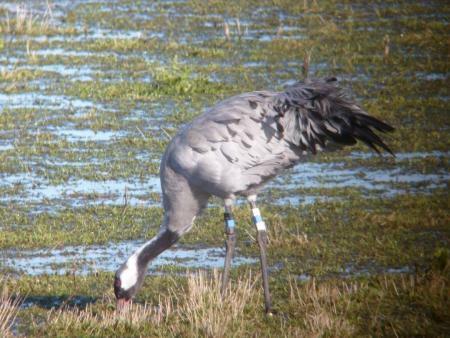 February 2016: Albert returned to Somerset in the summer of 2015 and remained with the main non-breeding flock until November - when he turned up again back at WWT Slimbridge. He remains there now. Perhaps he will pair up with Buttercup as the Spring rolls on. 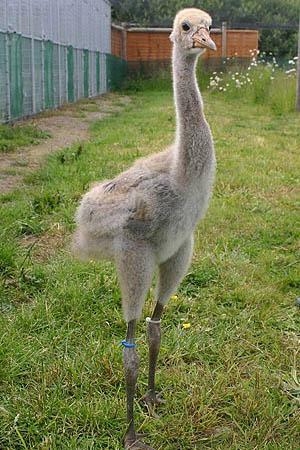 July 16: Remained at Slimbridge and was seen with Buttercup during February . In late March he was observed paired with Wendy and they started nesting activity in April on Bull Ground. Incubation started towards the end of April but after a few days the nest was abandoned. There were no subsequent attempts. Nov 17: Albert paired with Wendy at Slimbridge in late February and Wendy was seen on a nest on 20th March. Albert was also observed tending the nest at other times. However, the nest was abandoned on or around 31st March for reasons unknown. No further attempts at nesting were witnessed. Both birds remained at Slimbridge. Sept18: Remained at WWT Slimbridge and paired with Wendy. 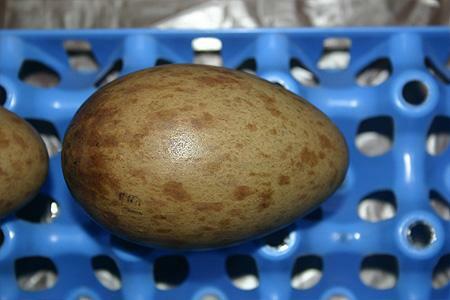 Incubation on the first nest started from 21/3. 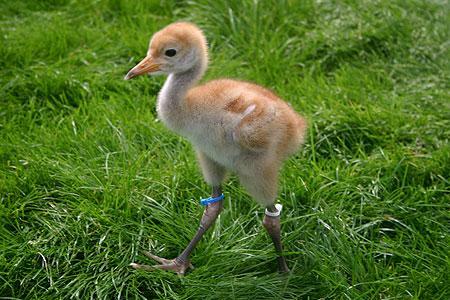 One chick was hatched on 23rd April but was lost by 22nd May. Reported to be incubating again before 9the June but the nest failed. The pair were back with the WWT Slimbridge flock in late August.